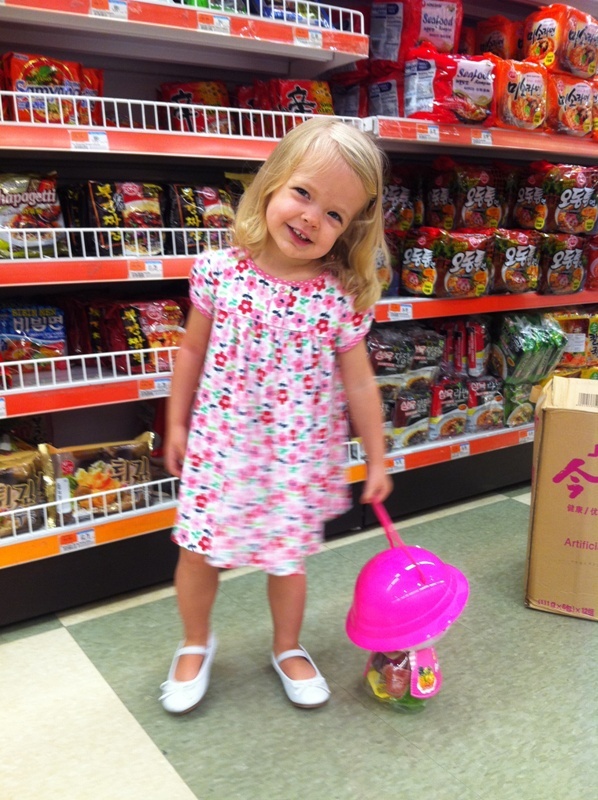 We went to Super H Mart, just to take in the sites. 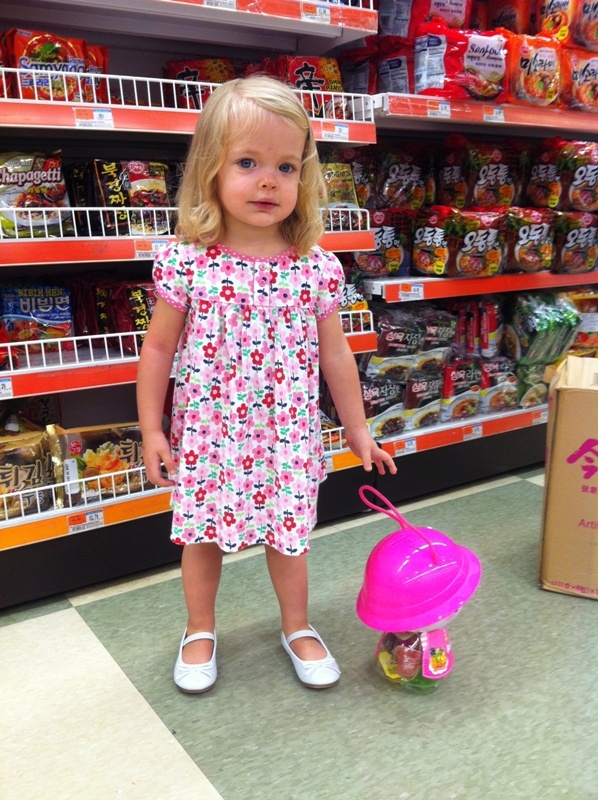 Ella found this candy-filled doll and wanted to walk around with it. 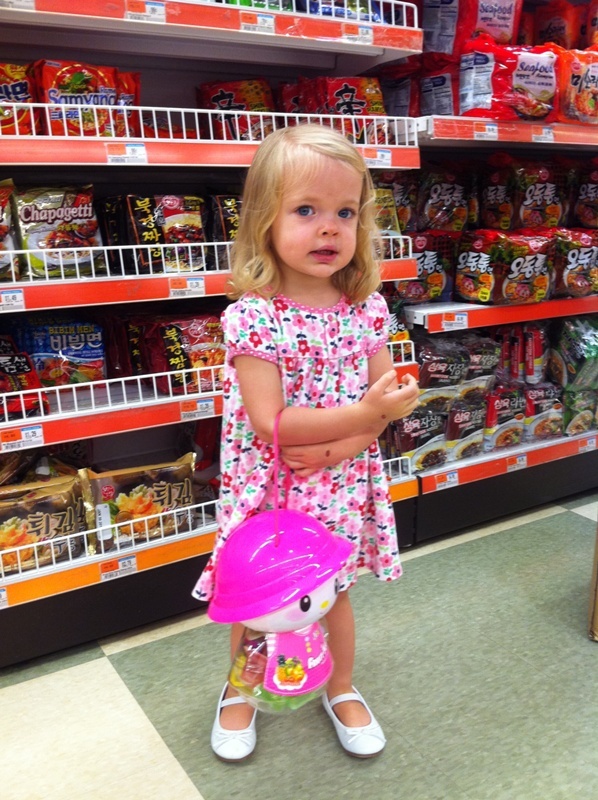 She had as much fun gawking at all the strange stuff as we did. 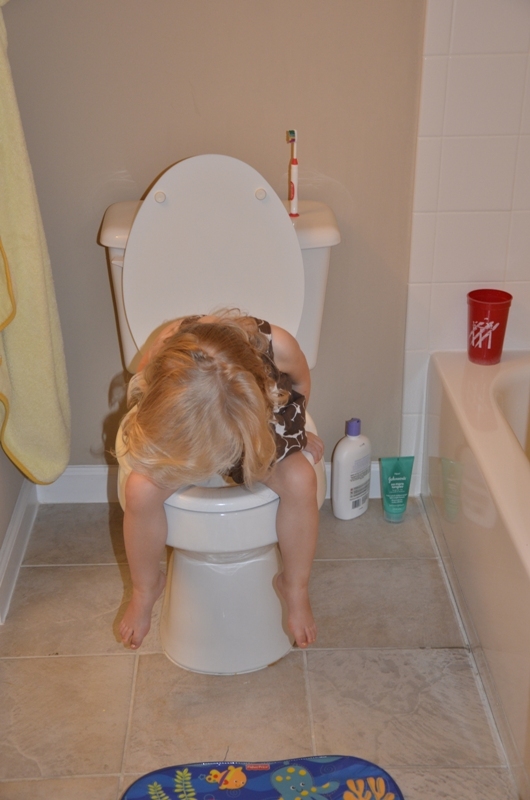 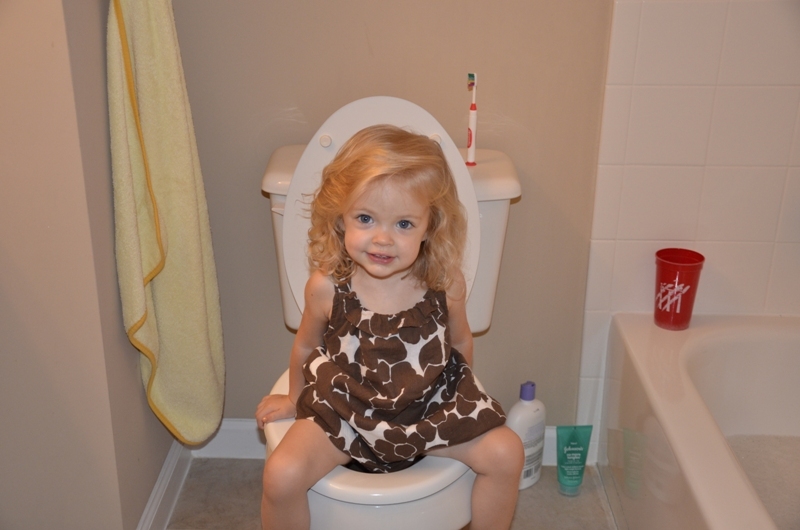 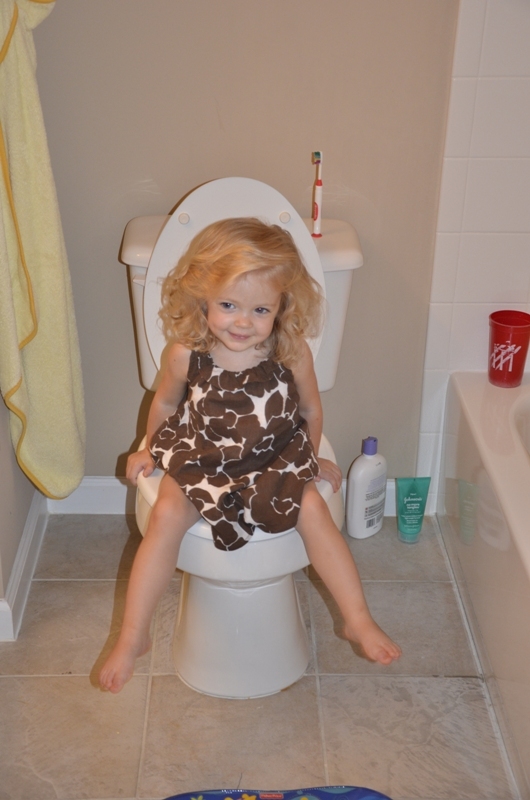 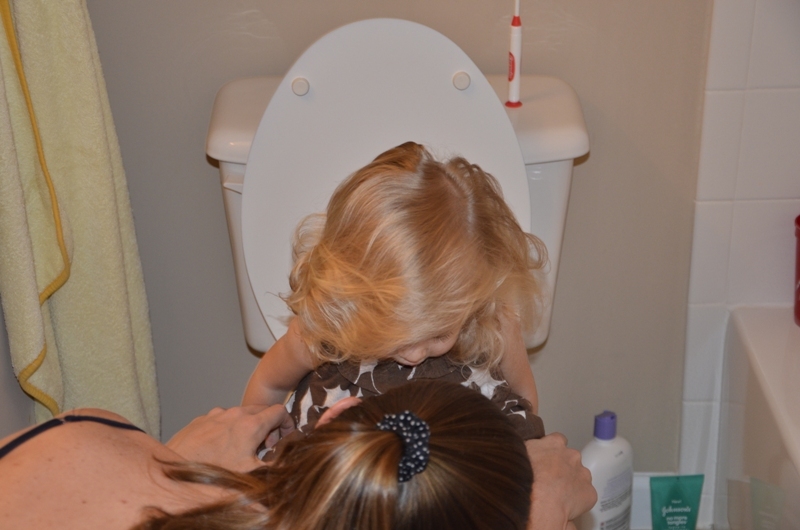 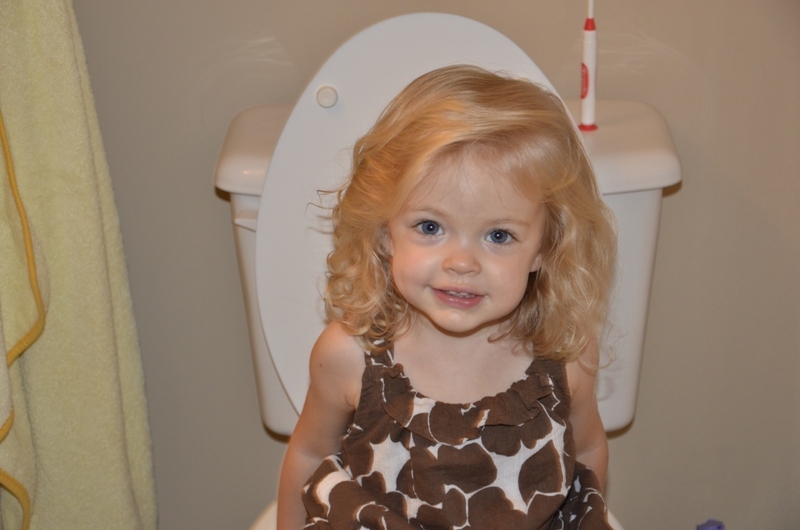 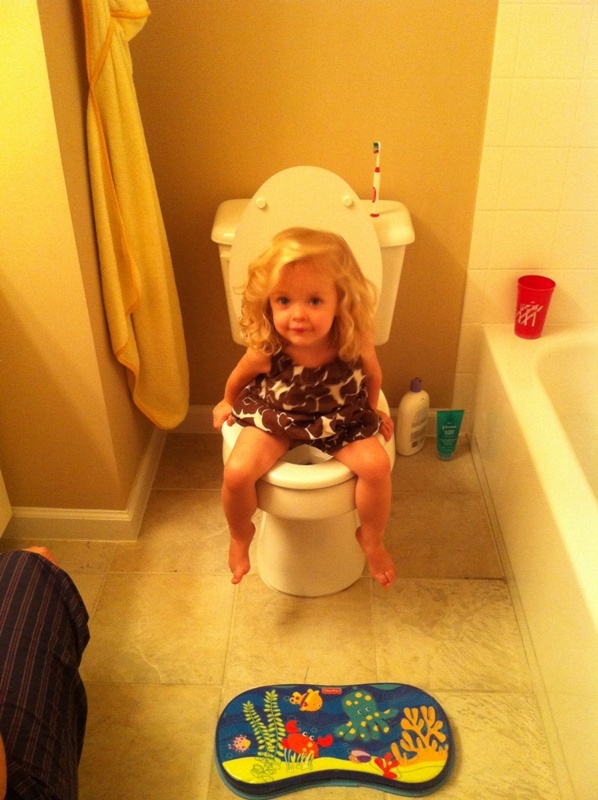 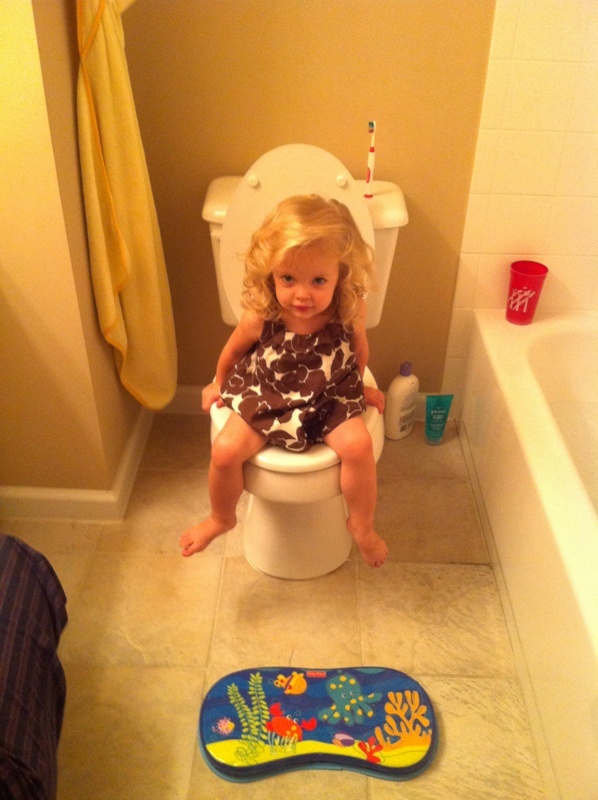 On Sept 5 (so, she is exactly 23 months old - if you can call such a random time concept 'exact'), Jill put Ella on the pot for what would be her first successful poopin'. 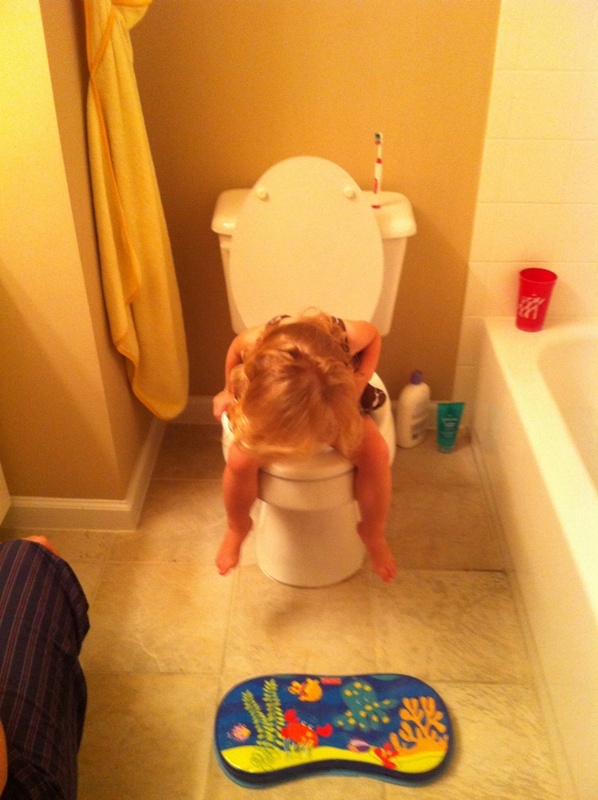 She realizes she made progress and wants to check. 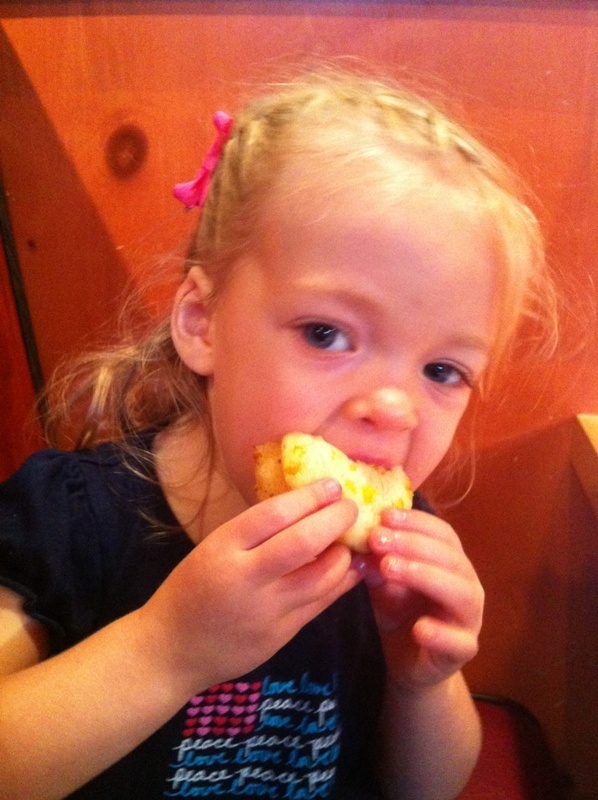 Off to Jim N Nicks. 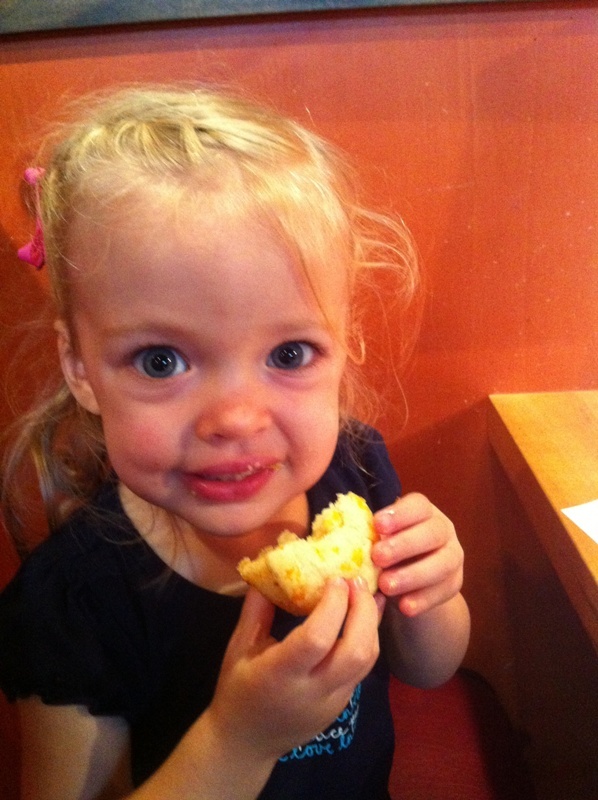 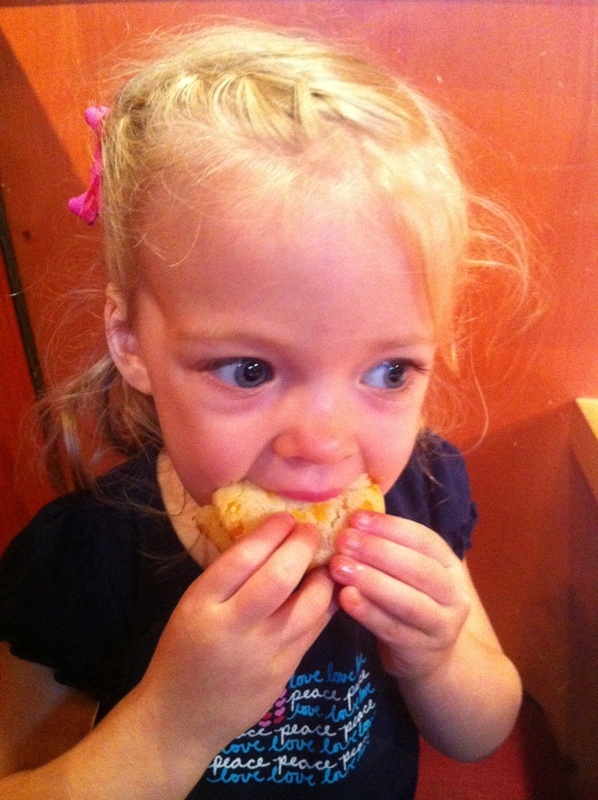 Ella doesn't want pictures - she wants to focus on the cheesy corn muffin, which she calls a "cupcake." 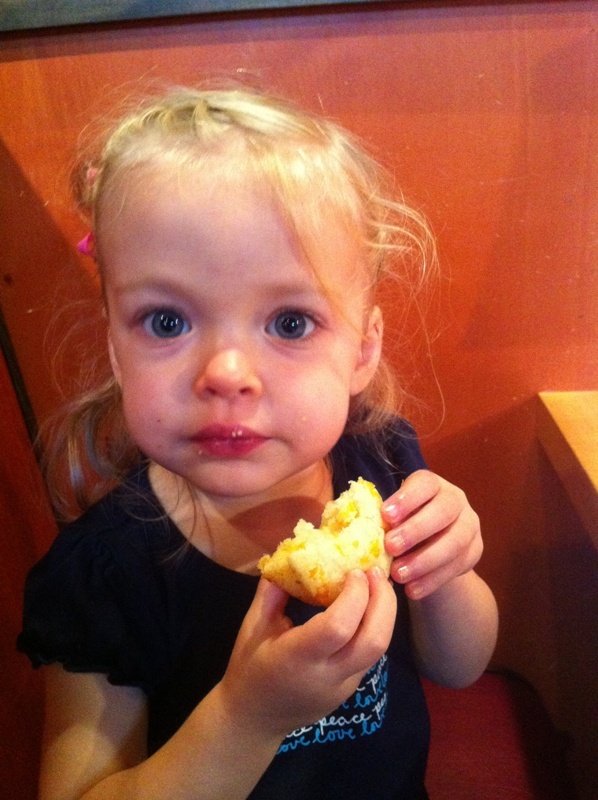 She eats a whole muffin, a bit of BBQ, creamed spinach, a good deal of mac n cheese, then finishes off my corn muffin.